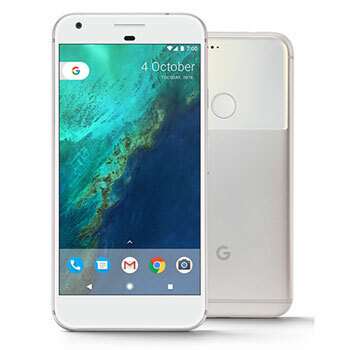 Google's Pixel XL offers a 5.5 inch, Quad HD AMOLED screen to make every detail sharper than ever. Capture the moment in beautiful detail, with a 12.3 megapixel main camera and 8 MP front facing selfie camera. Focus in on the details with an 8x digital zoom and laser detection autofocus, which lets you make sure that every photo is clear and perfectly framed. 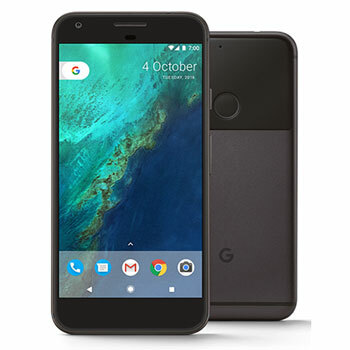 Running on Android 7 Nougat, the Google Pixel XL lets you enjoy all the best features from Android's latest OS, including the ability to text in two languages simultaneously, run two apps side by side and play games with high-performance graphics. Powered by Qualcomm's Snapdragon 821 chip and 4GB RAM, you can enjoy high quality quad-core processing, for efficient power and super-fast download speeds without interference from buffering or lag. Integrated into the Pixel XL and connected to your messages and apps is Google Assistant. Get your questions answered on the go, manage everyday tasks, find photos fast, translate on the go and keep tab on travel and updates wherever you are in the world. Rest easy knowing that the fast and efficient fingerprint sensor on the rear of the handset is keeping all of your data and contacts are stored safe and securely. Rated as an 89 by camera analysis experts DxOMark, the 12.3 megapixel offering on the Pixel XL is undoubtedlky one of the best mobile cameras yet. With 1.55μm pixels, f/2.0 aperture lens, HDR+ software and the impressive, new image processing capabilities of the Snapdragon 821 processor provides incredibly detailed images, even in low-light conditions. Capture perfect selfies thanks to the 8 megapixel front camera with a high quality Sony sensor module and enjoy unlimited cloud storage from Google.